I’m pretty sure most of us have experienced at least one dramatic shift at a certain point in our careers. One thing I have always prided myself on is reflection and willingness to learn from every major shift. The most recent buyout of Freedom Communications and subsequent changes with senior leadership led to many strategy shifts and even total elimination of certain products. One of the products discontinued was the iPad application called “The Peel”. Those of you integrated into the process of developing The Peel are fully aware that its production was hard labor; countless hours of blood, sweat and tears. Well maybe not blood but certainly the sweat and tears. However, those of us intimate with this product saw a light at the end of the tunnel, which we calculated to be about 2 years after its initial launch; we had projected 2 years just to get to break even on the profitability front. That investment period was abruptly ended – cut short by one year. Its new owners failed to acknowledge the future of this product. So back to my original point: Anytime a major change takes place in my career, I need to reflect on the “why” and “what did we learn along the way” questions. To give a proper response, I’ve written this post on the lessons learned from our experience with tablet publishing. I’ll start with the reason that The Peel was eliminated: The new owners of Freedom stated that the focus of the company moving forward would be on subscribers and profitable products. Seems reasonable for new owners to say. The problem is that the premises of The Peel was to gain a new audience – to reach a much younger demographic than traditional newspapers. A demographic that is adverse to subscription-based models. We were, in fact, creating a new way of publishing, using the iPad as the main vehicle; with more video, original content, local information and events than a typical news platform. As I see it, if a newspaper’s main focus is on subscriptions and profitable products, it makes it very difficult to invest in creating new and different new sources of content. Regardless of the decision, there were valuable lessons learned that I thought I would share. I know many of you are trying to figure out how to publish for a new audience, and how Mobile and/or Tablet can play a role. We learned a key factor in attracting a younger audience was to brand the product with a unique name (non-replica of the newspaper), and play down any connection to its legacy brand. We fought this battle constantly, both internally and externally. It may be that your legacy brand is important for initial credibility, but not so much that your readers think it’s the exact same content that’s in your traditional print product. Collaboration is very important with existing content sources, as the resources available from the legacy brand are vast. The large scope of news gathering and related content available for your product is critical to success, and therefore your relationships with legacy journalists are crucial. We had a great rapport with the local content center; they loved that we were focused on expanding the audience. They appreciated our role, which was to aggregate relevant content, and to design new elements that brought the content to life on the iPad. Our everyday decisions revolved around our target audience, not what was on the front page of the legacy newspaper or on the homepage of the legacy website. Video must play a major role in the development of content. Our most viewed stories were usually video-focused stories or features. We created original series based on prep sports, behind-the-scenes insight into local entertainment, coverage of products & people from our local community and fashion trends. We had 5 original content series, or “shows” as we called them, in The Peel, We aired the shows on consistent days each week, and we adopted a TV-like marketing effort. Most of these TV/video products also became hits on The OC Register website. However, we always kept original show programming exclusive to the iPad for 48 hours. We inspired many other content businesses to follow our lead and produce content similar to The Peel. We also showed the importance of hiring employees to work on these projects that came from entertainment, TV, production and design. The key component of The Peel each day was the feature story. The feature stories were brought life with written content, short videos, high-res images and interactive features created in HTML5. In fact, our usage patterns would go off the charts when we had a rub & reveal HTML5 function in a feature story. We ended up averaging around 5,000 “Uniques” per week and had over 125,000 downloads of the app. “Time Spent” with the product averaged 13 minutes each time a person opened the app. We started out thinking the best thing we could do was to tie our publishing efforts into our existing content management system and workflow. What a mistake. Most legacy publishing systems start with a page-layout system that does not understand HTML5 or high-res images; we spent countless hours each day trying to make our desired functionality work within a system that didn’t want to accept it. We had wanted to focus all efforts around the needs and expectations of the end user, and not what the system would or would not do. Sounds naive, but we missed many opportunities to grow upon content functionality due to being held back by the publishing system. We should have developed more video and original content sooner. We were so busy just trying to make our deadlines each day in the early stages, that we didn’t have time to collect data that would dictate what changes were needed. The name change to “The Peel” (from its original name “OC Register Tablet app”) occurred when we had realized that most of the users of the iPad app were actually the same people who received the daily traditional print and website versions of the newspaper. These readers were actually upset that they couldn’t find the stories from the web in the iPad app. They were expecting an iPad rendition of the website and print products. We quickly made a strategic shift away from the flagship brand, and what a difference it made. However, again a little late. It’s not always easy being on the edge of new technology. We should have created a Sunday edition of The Peel. We were so focused on the Monday through Saturday readers, that we didn’t realize the Sunday users want a similar experience. We were thinking Sunday was a time when people would slow down and take a look at the printed newspaper. In fact, what really occurred was that our younger readers were used to experiencing the Monday through Saturday editions, and were actually disrupted by not getting the same experience on Sundays. And, they were not users of our other products; therefore there was a gap in their daily flow of news. Finally, sales and advertisers weren’t ready for this new medium’s type of analytics. Selling “share-of-voice” was foreign to our sales reps and advertisers, who wanted to talk cpm based buys. I’m not sure much progress could have been made in this realm, as we simply didn’t have enough scale to gain major sales. We sold advertising to casinos, sporting goods and some retail, but nowhere else. 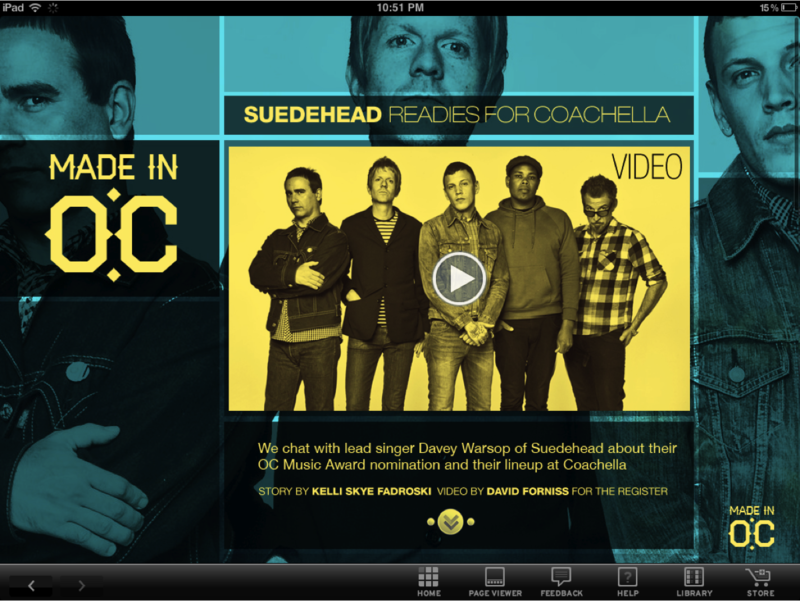 The ads that we created for these particular advertisers looked great on the iPad. It was impressive. In the end, we ended up with the budgeted sales we had hoped for, but those numbers didn’t create profits. I truly believe that we could have been profitable based on our original 2-year timeline. However, with new ownership comes new expectations, and the investment period for The Peel was cut off a year before we could witness that success. The knowledge gained from this experience has allowed me to become an industry expert in Mobile and Tablet publishing, but boy did it come with some bumps and bruises. I believe the future is bright for products designed to engage and deliver what a user expects from the device they are using. I am a strong advocate of creating or publishing around audience expectations, and not trying to repurpose traditional newspaper content to fit the screen of the device. I hope this post allows others to learn from my experiences and win the pursuit of new audiences by utilizing a new and different way of thinking and publishing. This is a great summary of the “dos” and “don’ts”! I like this post, thank for share. I grew up in the business world in the field of printing. From my beginnings back in the late 90’s I was constantly told that printing would be gone and business would be paperless. After Al Gore invented the internet, I heard that no one would need brochures anymore…it would all be online. (Brochures printing of actually increased!) Yes, printing has changed, however the industry is very much alive. I found your post to be very informative. 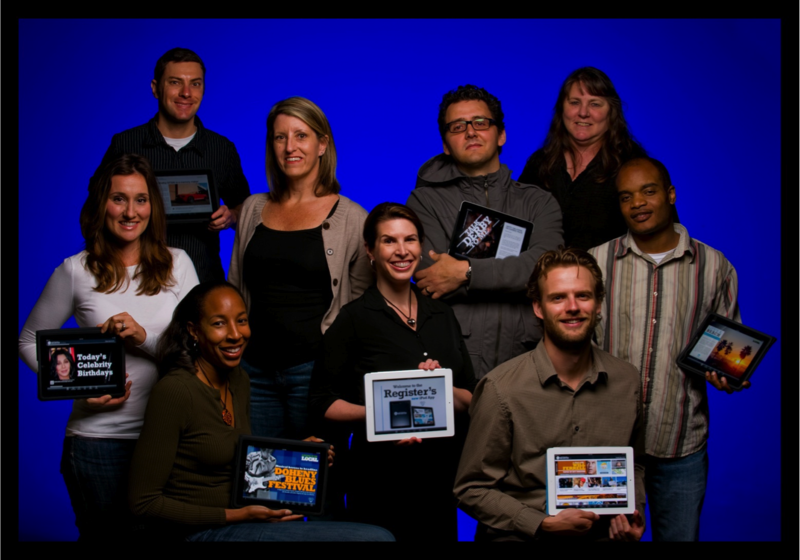 Would you be willing and able to speak about your experiences with The Peel at the Reynolds Journalism Institute’s Fall 2012 Tablet Symposium on December 7? The RJI is affiliated with the Missouri School of Journalism in Columbia. Did you receive my Sept. 19 reply to your e-mail message? All of my attempts to send messages to your Hotmail account since then are bouncing. Eager to talk with you about the RJI tablet symposium in December. Hi Doug, would you please drop me an email and let me know your contact details? Hoping to talk to you some more about this for a project. Thanks very much. My email is douglassbennett@gmail.com Ph: 714-932-1222.
site on my iphone during lunch break. I love the info you present here and can’t wait to take a look when I get home.